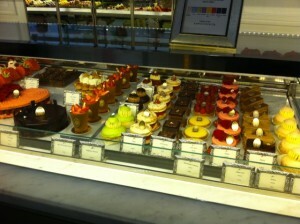 How exciting to practice the language you are studying in the country of origin! 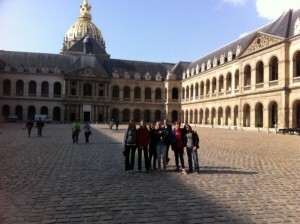 They experienced the Hôtel des Invalides and the Tomb of Napoléon Bonaparte. 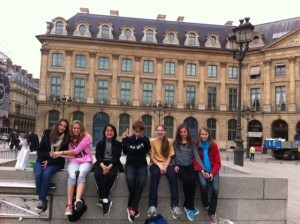 They learned not only about France’s ancient history, but also the world’s more recent history by visiting the Two World Wars Museum. 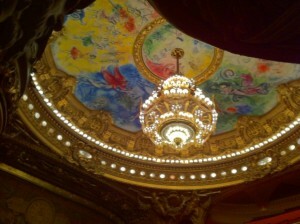 During one of their Paris excursions, the students visited the gorgeous Paris Opera House, where they were amazed by the huge staircase, the ballroom, the beautiful auditorium with a dome painted by Marc Chagall. 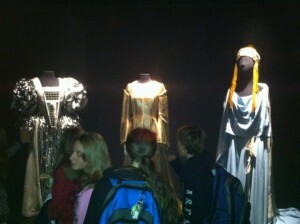 While at the Opera, they were lucky enough to see an exhibit on opera/ballet sets, and costumes. 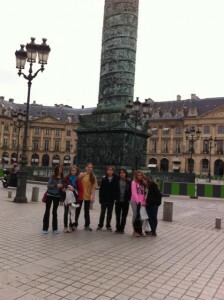 They have admired the view on the Place de la Concorde, the palace Bourbon, and the Obelisque. 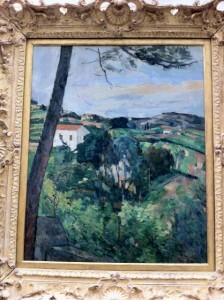 They also visited the Musée de l'Orangerie, where they appreciated Monet's huge water lily canvases, as well as a collection of paintings by famous artists such as Renoir, Picasso, Matisse, and Modigliani. 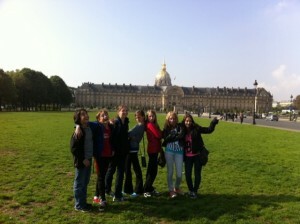 The students have had lunch in a restaurant facing the Hôtel des Invalides, walked along the Seine towards the Pont Alexandre III, the Grand Palais and the Petit Palais. 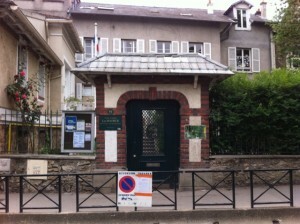 On their first day of school at La Source, Nathalie Laiheugue, the international exchange coordinator, welcomed the students and gave them their class schedule and a tour of the school. 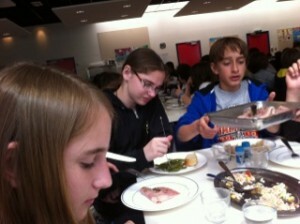 After a busy morning in class, they had lunch in the dining hall with ISTP Middle School Principal, Barbara Greiner. 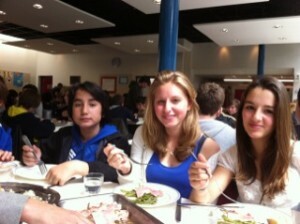 The students enjoyed their school lunch so much that they even asked Barbara to take a picture of the food! 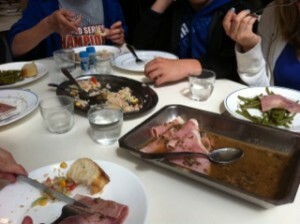 The lunch menu: tuna and corn salad, green beans, cooked ham, yogurts, and bananas. 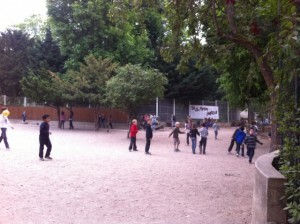 After lunch, the students had a long lunch recess (an hour), before going back to class.